SBR Technologies, a leader in environmental engineering, is proud of the services it has provided its clients over the years. Listed below are just a few of many case studies that let our work speak for itself. A study by SBR Technologies proves the Sequencing Batch Reactor to be a viable new option for the biological treatment of wastewater. SBR Technologies designs and oversees the creation of the first full-scale SBR to biologically treat hazardous organics from a hazardous waste disposal site. SBR Technologies conducts treatability studies and creates operating strategies that result in the successful biologically treatment of herbicide wastewaters. 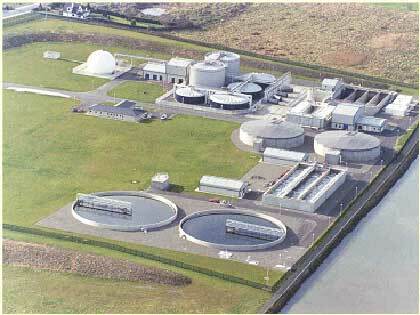 Click here for additional Biological Waste Treatment projects. Treatability studies for the onsite biological remediation of soils and leachates results in the successful clean-up of hazardous contaminants. A site assessment for an electronics manufacturer results in the identification and clean-up plans of the soil contaminant. SBR Technologies participates in an innovative technology review and public outreach activities for the Assembled Chemical Weapons Assessment Program. Click here for additional Innovative Process Design projects. SBR Technologies provides expert consulting services in the matter of United States of America vs. James D. Cross, et. al. SBR Technologies provides expert consulting services in the matter of Burlington Northern Railroad Company, Plaintiff, vs. Allianz Underwriters Insurance Company, et al. Expert Consulting Services in the matter of CSX Transportation v. Admiral, Ins. Co.
SBR Technologies provides expert consulting services in the matter of David A. Allen, et al. v. Mapco Alaska Petroleum, Inc.
SBR Technologies, Inc. is a small women-owned business that can solve your most difficult environmental problems. We take a hands-on approach with all our clients to provide them with a customized solution that fits their needs. Copyright © 2008-2010 SBR Technologies, Inc.